Due to constantly changing inventory, we currently do not produce a printed catalog. 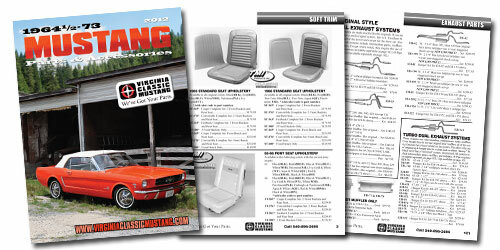 Our last catalog was the 2012 edition. We encourage you to use our web site to order and view the latest parts and prices. Our web site is constantly being updated with the latest parts, prices, and information. Of course, you can also always give us a call at 540-896-2695. Note: We do not share email addresses with any other company.